Looking for a little bit more luxury?, stay in our luxury Ski Chalet Megeve, relax in the Hot Tub and enjoy top class catering with a service to match. Megeve offers the very best in luxury with its designer shops and Michelin star restaurants, and with 445km of freshly groomed piste just an hour from Geneva, Megeve is the perfect luxury short ski break destination. 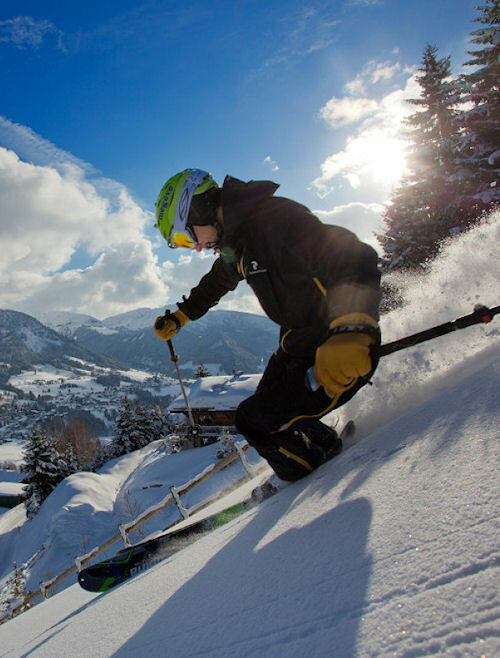 From your arrival at Geneva airport to having your ski passes ready for you at the chalet, everything is organised smoothly and efficiently with minimum fuss to ensure you get the very best out of your precious few days away. Our luxury Ski breaks run from Sunday to Wednesday or Wednesday to Sunday. At times we are able to offer alternative dates so please call us on 08450 758 228 to discuss. Prices start at just £350 per person for a 3 night luxury ski break. Breakfast, Afternoon tea and Canapés. Complimentary French wine with dinner. 2 days accompanied ski hosting. Drop off and pick up service to and from the slopes.